Dr. Robin Edge on Capitol Hill, March 2019. Federal funding for educating students with disabilities was introduced by lawmakers late last month. Thanks to the efforts of special education advocates, additional funding for children in need of speech, language, swallowing, and hearing therapy may soon become a reality. 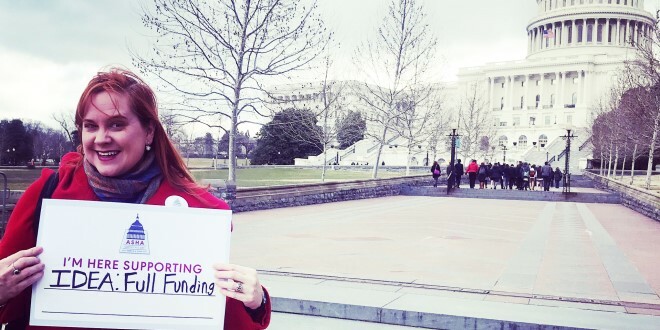 Jacksonville University Associate Professor Robin L. Edge, Ph.D., CCC-SLP stands on the frontlines of those lobbying Congress for increased funding. 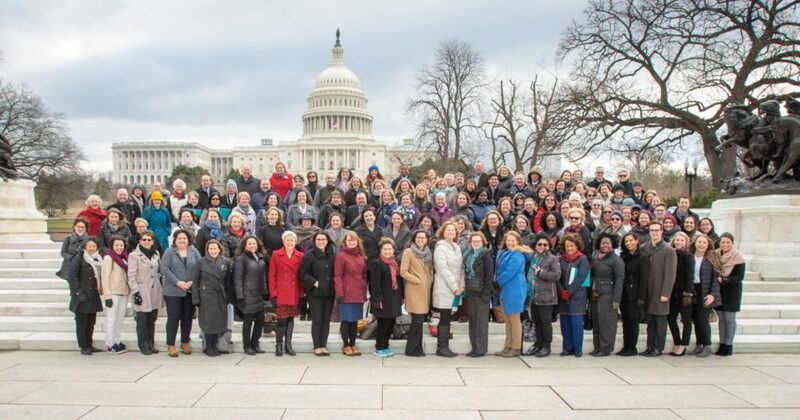 She participated in the American Speech-Language-Hearing Association (ASHA) Capitol Hill Day March 4, 2019, as one of Florida’s elected ASHA Advisory Council representatives. Over 120 speech-language pathologists, audiologists, and students met their members of Congress or staff. Dr. Edge spoke with key staff from the offices of Senator Marco Rubio, Senator Scott, Rep. Al Lawson, and Rep. Vern Buchanan to discuss increased funding which includes speech pathology services to K-12 students. An issue with a long history. In 1975, the Individuals with Disabilities Education Act (IDEA) passed with an original commitment from Congress to pay 40 percent of costs. More than four decades later, the federal government is footing less than 15 percent of those costs. Edge is hopeful that, under the IDEA Full Funding Act, such disparaging numbers are about to change. Rep. Jared Huffman (Dem.-Calif.) introduced the measure (HR 1878) and said passage of the bill would affect everything from teacher pay to class size to much-loved resource classes including music, art, and physical education. “That’s why the bipartisan IDEA Full Funding Act to finally honor the IDEA promise is probably the most significant thing the federal government can do to support K-12 schools,” he said in late March. Much debate and angst has surrounded the issue since President Donald Trump’s initial budget proposal included the elimination of Special Olympics funding. Since that time, the dialogue between U.S. Education Secretary Betsy DeVos and Trump has been fodder for a social media outcry. Edge, who came to JU from the University of Mississippi, joined the Brooks Rehabilitation College of Healthcare Sciences (BRCHS) in 2014. Now, she adds “advocate” to her roles as a faculty member and Study Abroad coordinator for BRCHS. She will serve a three-year term on the ASHA Advisory Council for Florida, ending in 2021. The Advisory Council, Edge said, works to bring state issues and concerns to the national level. She cites the Kids Share 2018 Report on Federal Expenditures on Children produced by the Urban Institute, which states that by 2020, the federal government is projected to spend more on national debt interest payments than on children. That drop in funding works out to less than seven percent of the U.S. budget being invested in children, including those with speech disorders and other medical limitations. Seven percent of a budget to serve 25 percent of the American population. Ansley Rhyne with Senator Rubio’s office, Edge said, was most receptive to learning more. Rubio sits on the Senate Appropriations Committee whose role directly impacts budgetary decisions. In recent House budget hearings, bipartisan support of fully-funding IDEA looked hopeful. The Act also has the support of ASHA and the National Education Association (NEA) among other national organizations. 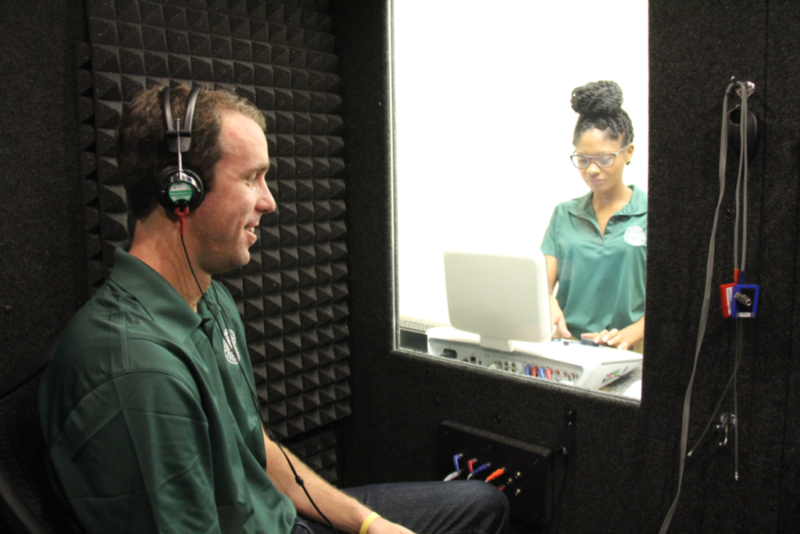 Visit Jacksonville University online for more details about the Brooks Rehabilitation College of Healthcare Sciences and the Master of Science in Speech-Language Pathology Program (MS-SLP). Jacksonville University offers the undergraduate pre-requisite courses in Communication Sciences and Disorders to prepare students for the Master of Science in Speech-Language-Pathology program.